Researcher’s Travel Grant: a new photo from one of our winners! You are here: Home / News / Researcher’s Travel Grant: a new photo from one of our winners! We’d like to share a photo sent by one of our Travel Grants Winners in April! 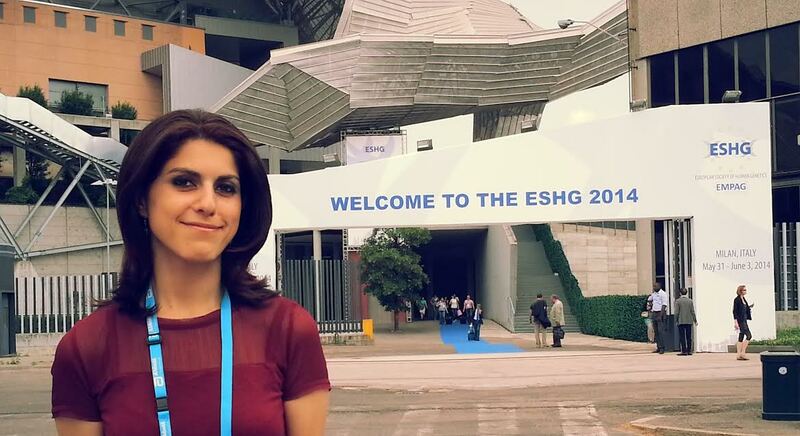 Rana is just back from the European Conference of Human Genetics 2014 in Milan(Italy). Thanks for the photo, Rana!